Located at the busy corner of Colorado Blvd. 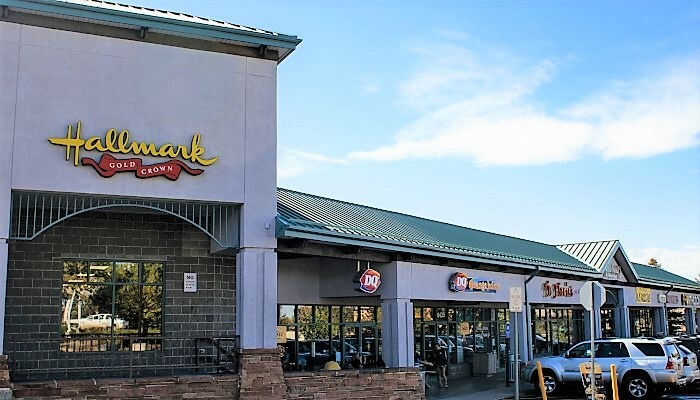 and University Blvd., Highlands Ranch Marketplace and the surrounding area are flooded with popular businesses such as Whole Foods Market, Chick-Fil- A, and Good Times Burgers. This one-stop shop for retail continues to drive in a large customer base from the surrounding neighborhoods and schools, making it an attractive corner for anyone looking to cash in on strong demographics and a great location. Large floor plan with two multi-stall restrooms and an open lobby area. This lower-level unit offers a spacious floor plan perfect for a fitness center or gym. .. This large and wide open floor plan is positioned between Good Times Burgers and Dairy ..